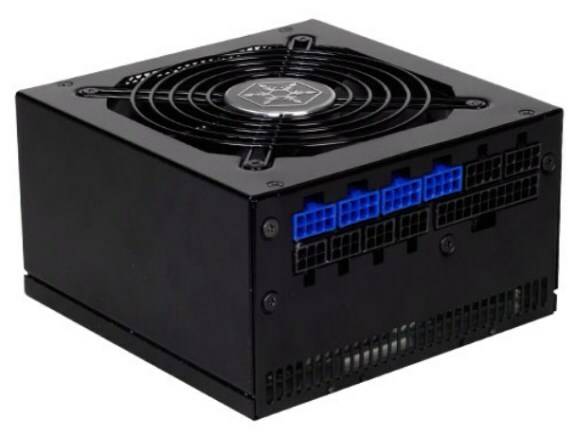 TechPowerUp spreads news that SilverStone introduced two new Strider Gold S series power supplies; the 750W SST-ST75F-GS and 850W SST-ST85F-GS. Both versions are anticipated to hit retail stores later this month. Both models measure 150 (W) x 86 (H) x 150 (D) mm and feature a fully modular design, active PFC, a MTBF of 100,000 hours, an 80 PLUS Gold certification (up to 90% efficiency), a single 12V rail, and a low-noise 120 mm fan. Moreover, they have over current, over power, over voltage, over temperature, under voltage and short circuit protection. At 750 W and 850 W, these are the smallest "full modular" power supplies on the market right now for their respective power levels. Most power supplies with the same specs are at least 180 mm deep (ST75F-GS and ST85F-GS are only 150 mm).